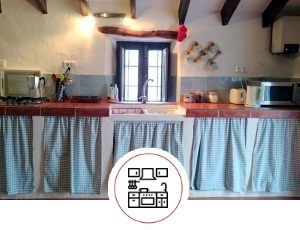 Welcome to Casa Wendy Comares located, at 4km from the mountain village of Comares. Enjoy your privacy and views over the tops of the olive trees on the beautiful surrounding hills. 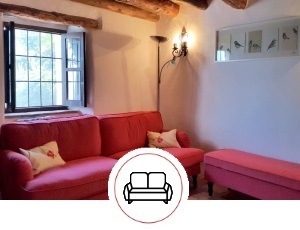 Our casa rural has recently been restored to high standard with an eye for preserving rustic features. An ideal holiday home in Andalucia for up to 4 people. Recently (January 2019) we have bought and refurbished this holiday home. 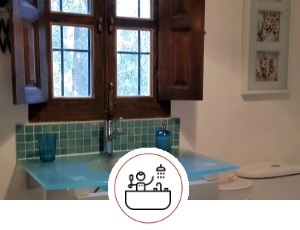 In the cozy living room, fully equipped kitchen, 2 separate bedrooms and 1 bathroom all the necessary comfort, including WIFI, is present for a wonderful holiday in Spain. Holidays in Spain is all about living outside! 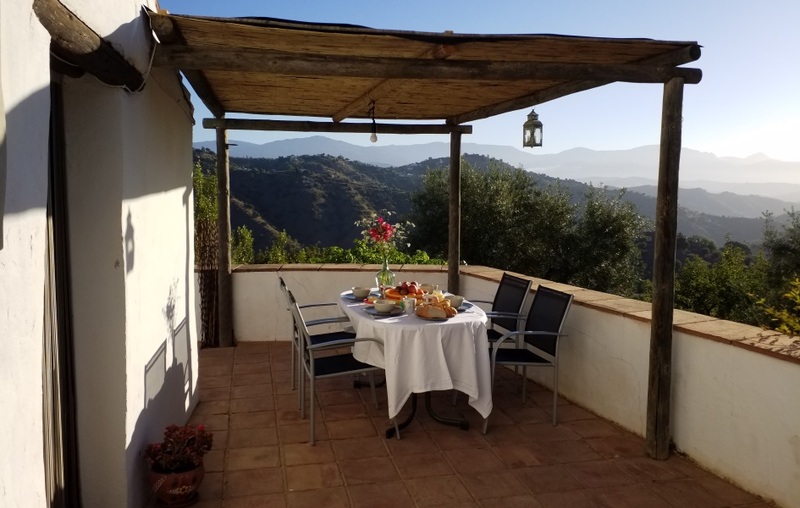 A terrace in front of the vacation home, for cozy outdoor dining, and a roof terrace, to enjoy the Andaluican sun, optimize your holiday experience. The large wooden terrace with lots of greenery provides shade If necessary. The swimming pool guarantees a daily refreshing highlight. 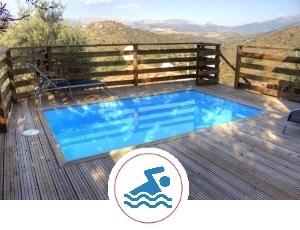 Casa Wendy Comares is an authentic Andalusian finca with swimming pool and view over the mountainous landscape around Comares. You are in a paradise for nature lovers just 30 km from the sea. 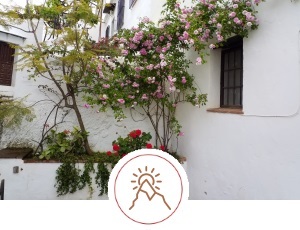 An ideal starting point for walking, cycling or to get to know the White Villages (Pueblos Blancos) of Andalusia. Below you can take a look at the different rooms in our holiday home.